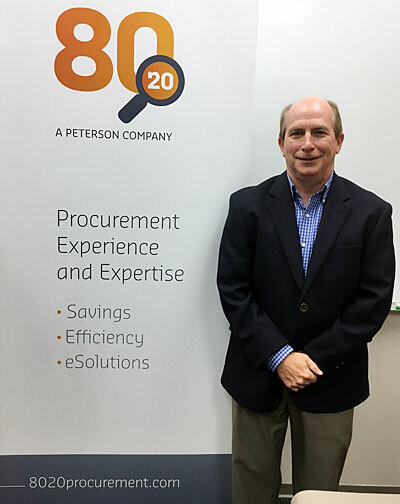 Procurement specialist 80:20, a Peterson company, has announced the appointment of Kirk Hoffman as Director for the Americas region. Based in 80:20’s Houston offices, Hoffman is looking to expand the company’s offering in Central and South America as part of his role. Hoffman joins the 80:20 team from Rowan Companies, where he was Director of Logistics. He has previously held posts as Head of Americas for Hansa Heavy Lift, and Chief Supply Chain Officer for Helix Energy Solutions Group and brings with him extensive knowledge of the field as well as an appetite to find improved efficiencies across the supply chain. Hoffman’s business background is also supported by his career in the United States Coast Guard, where he served as an officer for nine years. Coming out of in-house supply chain leadership roles, Kirk can see the benefit that outsourced procurement can provide companies. Hoffman is confident that the procurement company can relieve the pressure on supply chain groups by taking on much of the higher volume, lower value spend, and deliver it at better prices, passing on cost savings and increased efficiencies to the energy industry. 80:20 will also handle the receiving, inspection, OS&D, and delivery functions, which are often regarded as major burdens on a supply chain group. The procurement work carried out is completed with a lower administrative burden and reduced risk than if clients were doing it in-house.